In the case of cut threads, the course of the grain of the workpiece is interrupted. With rolled threads, on the other hand, the grain flow is not interrupted, thus the surface of the thread is hardened and the workpiece is less sensitive to notch effects. 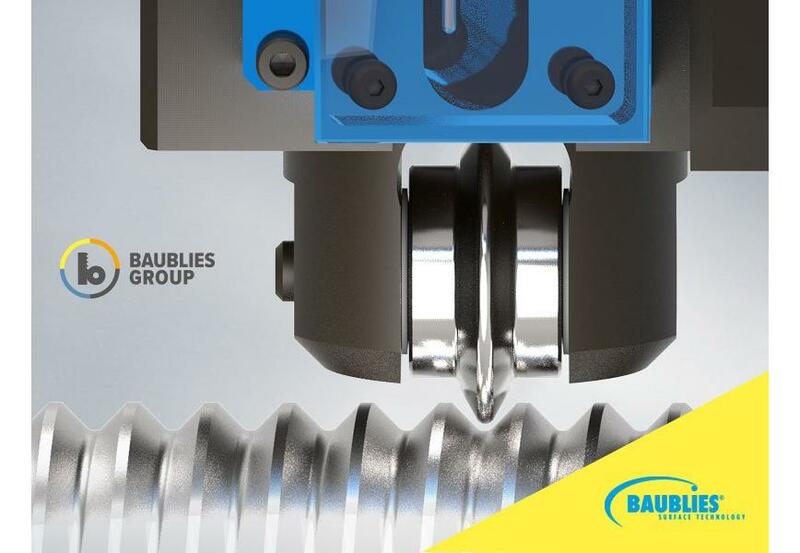 With the Baublies single roller tool for deep rolling of radii on threads, an increase in the dynamic strength properties can be achieved. The tool rolls the core radius of an external thread and thus hardens the surface. The result is higher wear resistance and reduced notch sensitivity. In deep rolling, the aim is to increase dynamic strength properties. In contrast to smooth rolling, the ensuing surface pressure is considerably higher during solidification. The rolling force causes dislocations in the crystaline lattice, resulting in strain hardening of the surface layer. The formation of residual compressive stress in the surface layer prevents cracks from arising under stress.